4Thought’s mission is to move individuals and organizations towards an improved future by pioneering and applying new tools of finance, economics, and technology. As a for-profit enterprise we believe that carefully crafted incentives can create maximum mutual benefit and trust for our clients. In pursuing this mission our thinking must be both foresighted and multi-directional (we must use “4Thought”). Jesse Mackey is the Chief Investment Officer and a shareholder of 4Thought Financial Group. As head of the firm's portfolio management operations, Jesse provides the investment planning and portfolio management expertise to aid affiliated financial advisors and partner firms in servicing their clients. He is also director of the economic theory, research, and publishing conducted at the firm. Jesse is the former President/COO of National Network of Accountants Investment Advisors, Inc. and former Investment Specialist at Park Avenue Securities, LLC. He previously worked with MassMutual Investor Services, AXA Financial, and JPMorgan Chase. In connection with his involvement in economic theory and research, Jesse has been published through multiple venues, including the CPA Journal; The National Conference of CPA Practitioners (NCCPAP) Journal of the CPA Practitioner; AdvisorFYI.com; FREE Magazine; and others. Jesse earned his MBA from Thunderbird School of Global Management in International Securities Investment, International Development, and Entrepreneurship and his Bachelor’s degree from Colgate University in Economics. He holds the Series 24 and Series 66 Securities/Advisory licenses and is a licensed Life and Health insurance representative. An avid traveler, Jesse has visited a variety of countries on 5 continents throughout his career and studies. He speaks English and German. He has also authored a science fiction novel with underlying themes of economic development and human advancement entitled Phoenix in Flames. Jesse and his family live in Huntington, NY. He spends his free time with family and friends between the US and Germany, and enjoys the outdoors. Martin is the Chief Financial Officer and a shareholder of 4Thought Financial Group. In addition to his corporate finance role, Martin specializes in holistic financial planning by coordinating all aspects of a client’s financial life. His comprehensive approach enables him to coordinate the clients’ other advisors without duplicating their efforts and wear the hat of the client’s “macro manager”. This holistic approach prevents important details from falling through the cracks. His tax and accounting background enables him to talk the same language with the CPA as well as other advisors on behalf of the client. Martin started his career with Cigna Financial Advisors, which was the successor of the Estate & Business Succession Division of Connecticut General Life Insurance Company. Martin is the author of the Widow’s Survival Guide, Published in 1998, available on Amazon.com. Martin holds a BBA from University of Miami, an MBA from St. Johns University, and he is a Certified Public Accountant (CPA), a Chartered Financial Consultant (ChFC) and a Chartered Advisor in Philanthropy (CAP). He is also a licensed Life and Health insurance representative. 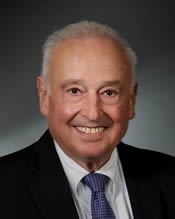 Martin had served as Vice President and Trustee of the Shelter Rock Jewish Center, and Trustee of the Holocaust Memorial and Tolerance Center of Nassau County and the Meir Panim – Relief Centers of Israel. He and his wife Allison live on Long Island and are the proud parents of Allie and Calvin Vu. Brian is the Chief Executive Officer and a shareholder of 4Thought Financial Group. Brian brings over 40 years of experience in the fields of Estate, Business Continuity and Investment Planning. Mr. Mackey started his career with Cigna Financial Advisors, which was the successor of the Estate and Business Division of Connecticut General Life Insurance Company in 1980. He has served as the Regional Director of Advanced Markets and an Agency Manager at Mutual of New York (MONY) as well as being the Director of the National Network of Accountants Registered Investment Advisors. Mr. Mackey graduated from Quinnipiac University in 1978 and received his degree in Accounting. In addition, he attended the MBA program at the University of New Haven and received the designation of Chartered Life Underwriter (CLU) from the American College Bryn Mawr, PA. He holds the Series 24, Series 66, and Series 65 Securities/Advisory Registrations. Mr. Mackey is also nationally known as the coach and trainer of other financial professionals who want to move their financial services practice to a higher level of service and productivity. He has been a guest speaker for the International Association of Financial Planners, the American Institute of Certified Public Accountants, the New York State Society of Certified Public Accountants, the National Conference of CPA Practitioners and the Foundation for Accountants Education as well as many Law and CPA firms. As Managing Director: Wholesale Services of 4Thought Financial Group, Jerry provides support to Financial Advisory and Accounting firms wishing to leverage 4Thought’s expertise to better serve their clients’ needs. As an Investment Adviser Representative (IAR), Jerry participates in a team approach to financial planning and implementation services for individuals, business owners and professionals. Initially an engineer for NASA and technology firms, Jerry transitioned to support the NYC financial community for over 30 years through Project Management, Sales, and Sales Management positions on large scale financially driven projects worth up to $20M annually, eventually working at New York Life and then Sound Wealth Financial Group (A Guardian Life and Park Avenue Securities Agency/Branch). Jerry holds the Series 65 advisory license and earned the Licensed Underwriting Teaching Council Fellow (LUTCF) designation with concentrations in a variety of financial instruments. Jerry’s educational background includes a BS in Mechanical Engineering from the Polytechnic Institute of Brooklyn and graduate work towards an MS in Aeronautical Engineering, MBA programs at CUNY’s Baruch School of Business and NYU’s Stern School of Business. Jerry has presented at numerous professional and trade events. Jerry also was awarded for his work on financial protection against the potentially devastating expenses of Long-Term Care. He has served on Boards of Directors of various organizations including community groups, charities, and Chambers of Commerce. Jerry and his wife Sharon have resided in Great Neck, Southold and East Rockaway, NY with interests including hiking, photography, music, boating, and scuba diving. 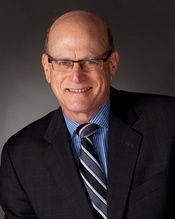 Jerry Rothman is a Relationship Development and Risk Management Consultant for 4Thought Financial Group. His role is to develop new business relationships with High Net Worth clientele through his contacts with professional groups, including CPAs and attorneys. His further role is to provide insurance brokerage services and other services related to risk management for his clients. **Jerry is not affiliated with American Portfolio’s Financial Services, Inc.
Mr. Rothman’s previous business experience covers over 40 years of financial market involvement of which 22 years were with Merrill Lynch, where he was a Managing Director. Jerry’s work included advising High Net Worth clients regarding their exposures to the currency markets and other alternative asset classes. Jerry’s experience in the currency markets has made him a valuable resource to clients by helping them understand the implications of currency market movements on their businesses and their personal investments. Additionally, Jerry has been involved in the precious metals markets for many years, and has often been called upon for his insight on the use of these instruments and assets in investor portfolios. Jerry has a Master’s Degree in Finance from Baruch College. 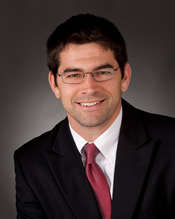 Daniel Mackey is an Investment Adviser Representative (IAR). Dan participates in a team approach to financial planning and implementation services for individuals, business owners and professionals. Dan also assists the Investment Committee and CIO of 4Thought with the implementation of portfolio management algorithms in client accounts. Dan has a bachelor’s degree in Accounting from Quinnipiac University. He holds the series 65 advisory license and is licensed as a Life and Health insurance representative. He resides in East Northport, NY, with his wife Natalie and two daughters. 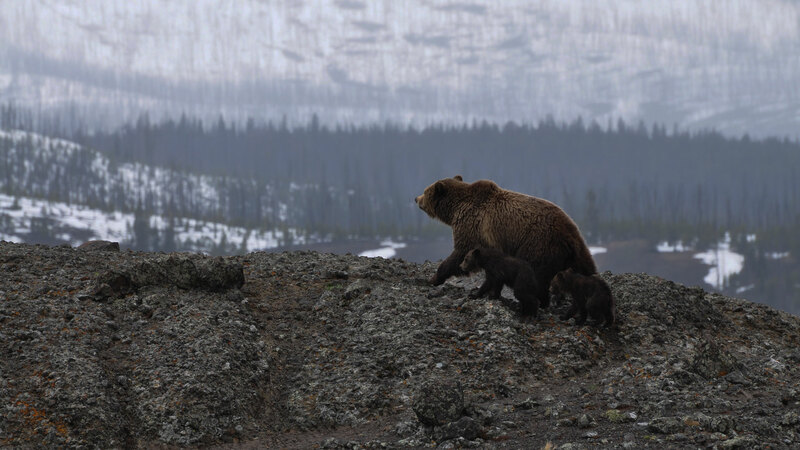 In his free time, Dan enjoys the outdoors and spending time with his family. Michael Duvally is the Operations Manager at 4Thought Financial Group. His duties include implementation of new accounts, onboarding new advisors, providing customer service to existing relationships, and performance reporting. Mike also assists the Investment Committee and CIO of 4Thought with the implementation of portfolio management algorithms in client accounts. Mike has a degree in finance from Philadelphia University. He resides in Glen Cove, NY. Mike spends his free time running, currently training to qualify for the Boston Marathon, and spending time with family and friends. Amy Ferrara is an Operations Associate at 4Thought Financial Group. She has worked with Martin Levine and Brian Mackey for eight years and has been with 4Thought Financial Group since its inception. Amy’s work experience includes many years in roles in industries as diverse as Financial Services, Equipment Leasing, Website Design, Manufacturing and Aviation. Amy received a BA in Psychology from Adelphi University. She received an MS in Education with a specialization in School Counseling from Hofstra University as well. 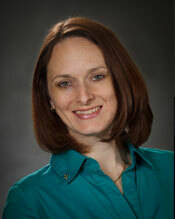 Amy is also a licensed Life and Health Insurance Representative. Amy lives on Long Island with her husband and her young son. 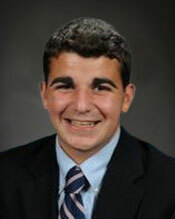 Michael Duvallyis the Operations Manager at 4Thought Financial Group. His duties include implementation of new accounts, onboarding new advisors, providing customer service to existing relationships, and performance reporting. Mike also assists the Investment Committee and CIO of 4Thought with the implementation of portfolio management algorithms in client accounts. Contact us today to see how 4Thought Financial Group can help you achieve your goals.